The owner of the composting facility is the same as the owner of the animal or crop production operation where the yard waste, agricultural waste, animal waste, food scraps, and bulking agents are generated. The composting facility is located on property owned by the animal or crop production operation. The composting facility is operated in such a manner that noise, dust, and odors do not constitute a nuisance or health hazard and does not cause or contribute to surface or ground water pollution. All compost produced is utilized exclusively at the animal or crop production operation. 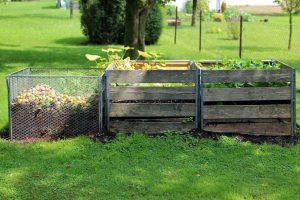 The composting is conducted by the person who raises the animals and the compost product is used in agricultural operations owned or operated by that person, regardless of whether the person owns the animals. The composting is conducted by the person who owns the animals, but does not raise them and the compost product is used in agricultural operation either by a person who raises the animals or by a person who raises grain that is used to fee them and that is supplied by the owner of the animals. The owner or operator composts only yard waste and bulking agents generated by the owner of an operation engaged in providing lawn mowing or landscaping services or operations that generate yard waste while lawn mowing or landscaping the owner’s premises. The owner of the composting facility is the same as the owner of the operation. The composting facility is located on the owner’s property. The limits of materials placement on the facility site are less than twelve hundred square feet of total area. All compost produced is utilized exclusively on the owner’s property. The use of the compost in plant potting media by nurseries and greenhouses that grow plant stock is considered use on the owner’s property. Sewage sludge composting with solid wastes when that sewage sludge composting is sewage sludge treatment or disposal pursuant to Chapter 3745-40 of the Administrative Code and is authorized by a current permit issued under Chapter 6111 of the Revised Code.